During a January trip to Santa Fe, New Mexico, my friend Mary Dea and I found ourselves with a free day of nothing planned (which is becoming a recurring theme in my travels). 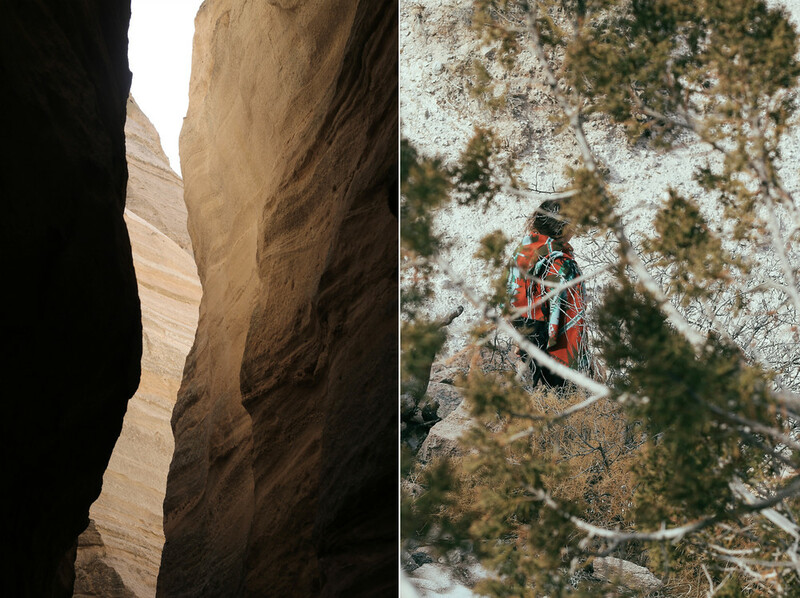 In the pursuit of adventure, and at the recommendation of our hotel's concierge we drove an hour west of Santa Fe to Tent Rocks. The rocks, formed over six millions of years ago by volcanos, are cone-shaped and offer up a view and experience that feels out of this world. We wandered through the narrow nooks and crannies, eventually meandering upward to one of the peaks where we were met with views of Sangre de Cristo, Jemez, Sandia mountains and the Rio Grande Valley.